There is widespread belief that the world's religions con- tradict each other. It follows that if one religion is true, the others must be false--an assumption that implies, and may actually create, religious strife. 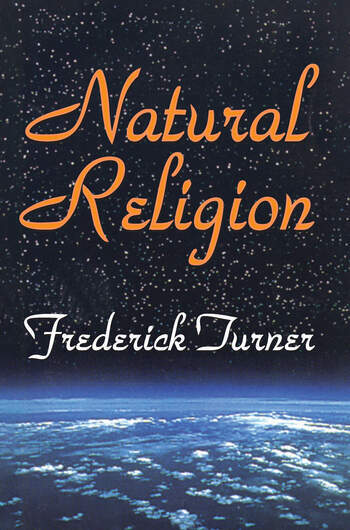 In Natural Religion, acclaimed poet, critic and essayist Frederick Turner sets out to show that the natural world offers grounds for stating that all religions are, in some respect, true. Through the ages, various ways have been proposed to resolve religious differences. Some argue for the destruction of all religions but one's own. Others substitute an abstract principle for the real ritual and moral practice of religion. Still others doubt all religious truth and, consequently, all truth. Others accept a kind of pluralistic relativism. This book explores syncretism, whereby all religions are seen as grasping the same strange and complex reality, but by very different means and handles. The idea that all religions are true raises a supervening question: if so, what must the real physical universe be like? Turner approaches these questions in terms of scientific inquiry. There is not enough room in space itself to fit in all theologies; but there may be enough room in time if new scientific descriptions of time's nature are to be believed. Turner argues that in the time-models of contemporary cosmological and evolutionary science all times may be connected and time may be infinitely branched and causally looped so that both forward-in-time and backward-in-time factors may be in operation in the same event. Thus, the fundamental substance of the universe may be information rather than matter or energy. The universe is more like a vast living organism than a vast machine. Turner argues that all existing religions can be shown to fit into this model, which in turn points to deeper implications of religious doctrines, languages and practices. There would be plenty of "room" in such a view of time for a tree of different yet linked religious worlds and poetic language may be the most effective tool for describing the divine.